Overwatch is a multi-player first-person shooter video game developed by Blizzard Entertainment. In this game, your team must work together to secure and protect control points or assist a cargo across the map in a limited time. When playing the game on your PC, you might want to create footage of your gameplay and save it for later review. However, the game doesn’t have a built-in screen recorder. Therefore, you may need a good Overwatch gameplay recorder to help you capture your excellent game experience. 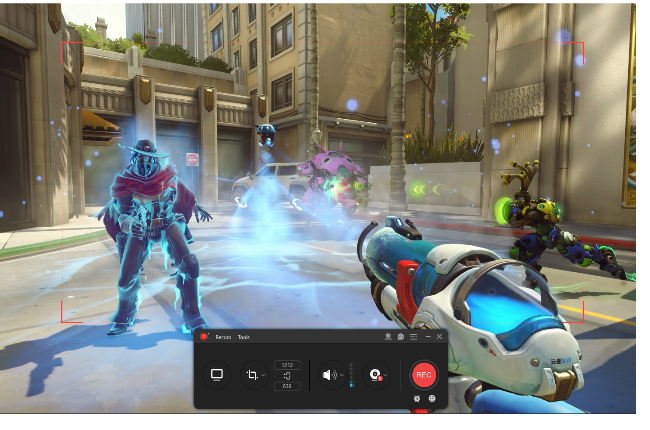 In this article, we will introduce some practical ways on how to record Overwatch on your computer. ApowerREC is a professional screen recorder that provides smooth and high-quality footage of your gameplay. It comes with an intuitive and user-friendly interface, which makes it easy to use. Moreover, what makes it recommendable is that it can not only capture your screen display, but also the audio coming from your system and microphone. Plus, you may also enjoy creating a picture-in-picture video, since the program can also capture your webcam. Aside from that, it also has a built-in screenshot tool that allows you to capture brilliant moments while playing games. 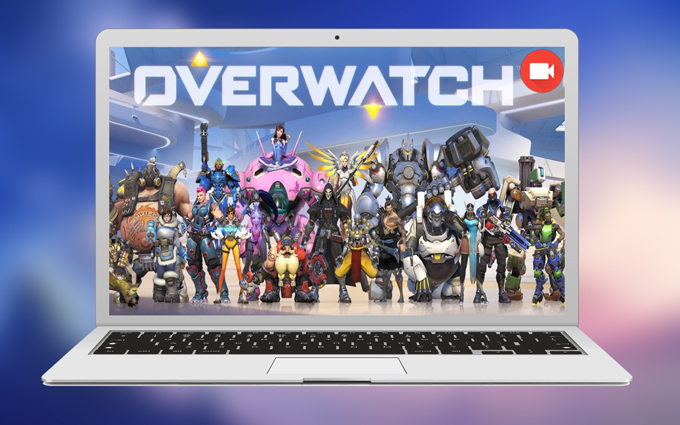 When it comes to recording Overwatch gameplay with ApowerREC, you can follow the steps below. First, download and install the software on your pc. Once installed, launch the program and then make some configurations based on your needs. It may be convenient if you set hotkeys to control the recording. Now, if you are ready to play the game and record it, hit the red “REC” button or use hotkeys you set to initiate the recording process. Afterwards, the floating tool bar will pop up. By clicking the “Pencil” icon, you can add annotations, like highlights, arrows, or texts, to your game recording. To stop the recording, simply click the “Stop” button on the toolbar or use the shortcuts to end it. Then your recorded file will be automatically saved and will appear on the ApowerREC file list. The next program is OBS. 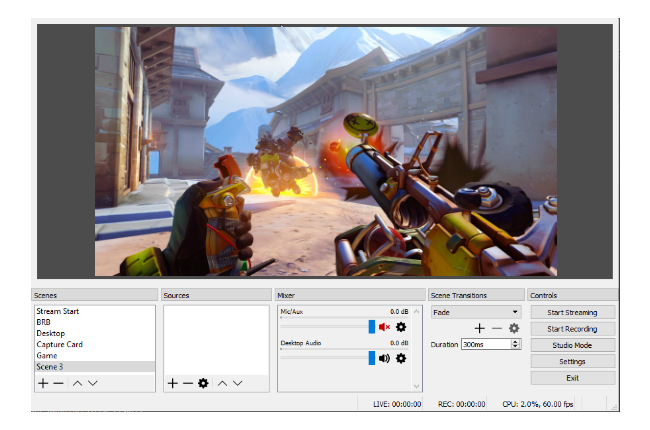 This is an open source screen recorder used by many online gamers. It is available on Windows, Mac, and Linux. Moreover, the program has advanced options to add multiple windows, duplicate your existing windows, or customize your own window to create a unique and remarkable recording output. 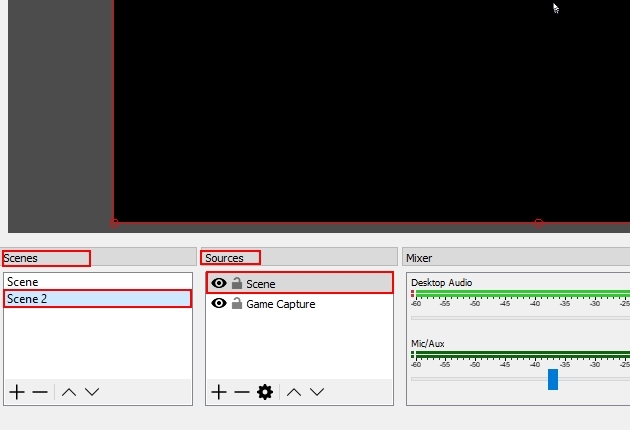 OBS is a powerful and reliable screen recorder. However, it is complicated to use and requires lots of time to grasp its options. 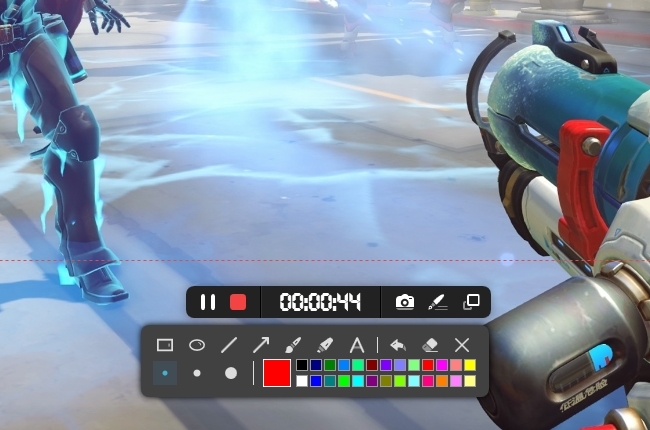 To learn how to record Overwatch gameplay, here are the guidelines. Launch the program and click “Scene” > “Source” > “Window Capture”. Afterwards, a window will appear where you can insert a name for your output. You can adjust the size of the recording area for your game recording. Now, navigate to “Settings” and then select “Output”. From here, you can configure your options, including the recording file path. Last, hit the “Start Recording” button to start capturing if you are ready. Then your Overwatch gameplay will be captured. If you are looking for screen recorder with an advanced built-in video editor, Ezvid might be the one you are looking for. It is equipped with an obsolete, yet comprehensive, interface where you can record gameplays up to 45 minutes. Furthermore, it has a built-in video editor that even comes with a text-to-speech feature, and it supports recording with a microphone so that you can add a voice guide on your recording instantly. Plus, it is absolutely free and doesn’t leave unsightly watermarks on your rendered video. 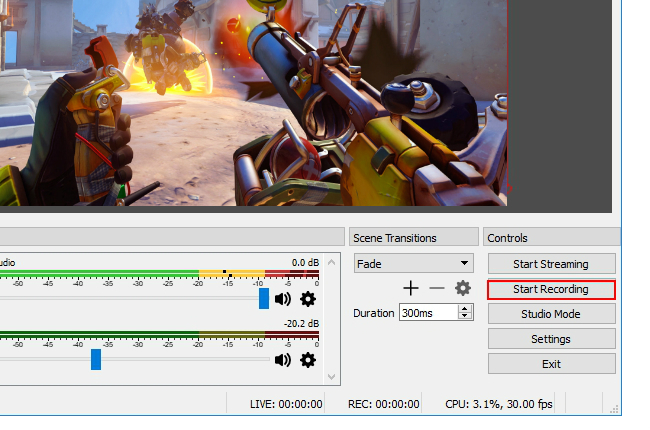 Here are the steps for you to follow to record Overwatch with Ezvid. 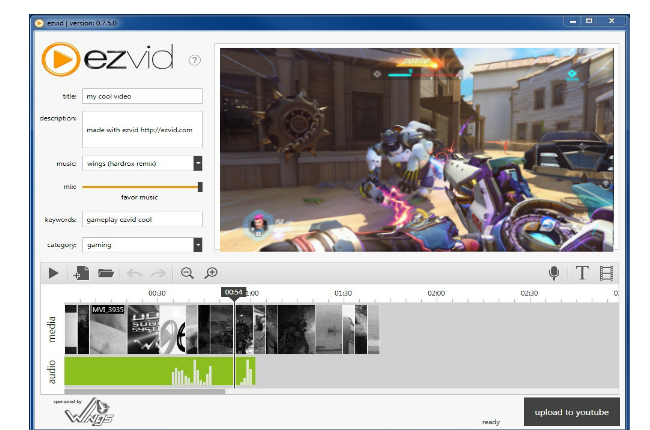 Download and Install Ezvid on your pc. Now, launch the program then, from its main interface, you can add a title and description before recording. 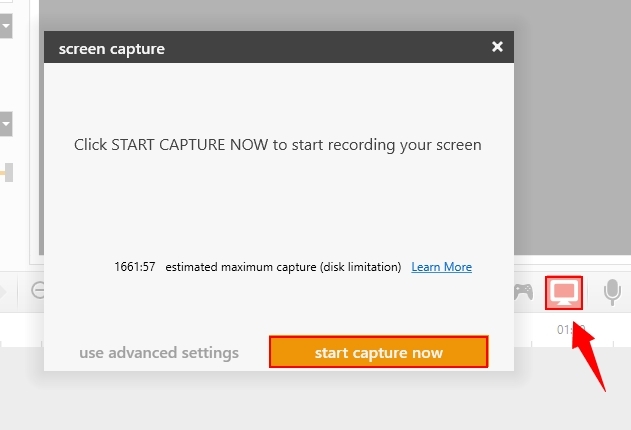 After that, click the “Desktop” icon and then hit “start capture now” to start recording your Overwatch gameplay. If you want to stop the program from recording, simply hit the “Stop” button. Then, click “save video” to save the recording output on your computer. In fact, there are lots of screen recorders available throughout the Internet. However, the mentioned programs will definitely help you record Overwatch without complications. Furthermore, these applications are reliable and convenient. If you want to record your gameplay in high quality without complicated configurations, ApowerREC is highly recommended.